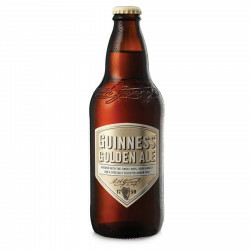 Guinness beer is a draught stout with dark with thin foam. It is renowned all over the world for its unique taste and look. 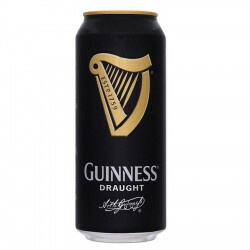 Until 31st january, if you buy 2 cans of Guinness = you get 2 more for free ! Exclusive sale in our shops. 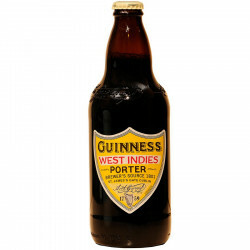 Guinness is strongly linked to the history of Ireland and it is one of its symbol on an international scale. Guinness Draught is the most sold beer in Ireland. It is brewed from a wort containing highly roasted beans which give the beer its dark colour and its coffee and cocoa taste. Served between 3 and 5 degrees, it has an outstanding smoothness, a strong full-body and bitterness. The can contains a mixed gas ball (nitrogen): the "Floating Widget" which reconstitute conditions of draught beer given at the counter of any pub. Sales in our shops exclusively.